As some of you may have noticed this morning, the car park is full. This is partially due to a film crew having set up home for the next 5 days but due to all the people using the car park. 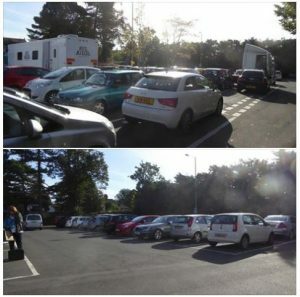 Utilising this car park for Film Crew’s is a revenue stream not only for Harrow Council but all for the business & people of Pinner. No film crew parking would result in adverts and TV episodes not being filmed in and around Pinner. Previous Previous post: Tom Harvey’s sculpture celebrating Heath Robinson.